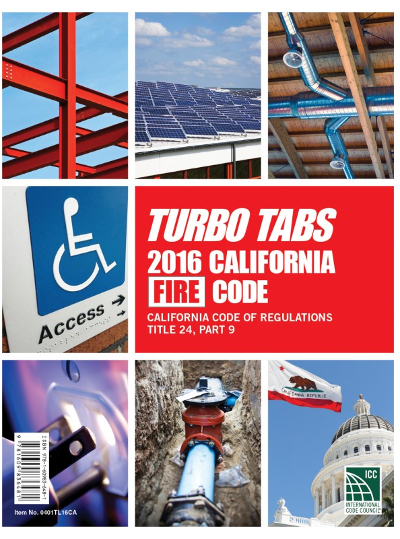 Save time with the 2016 California Fire Code Turbo Tabs! These 2016 California Fire Turbo Tabs make it very easy to find the exact information you are looking for in the 2016 California Fire Code, Title 24, Part 9. No more thumbing through hundreds of pages searching for the information you need. The tabs highlight and index all the major features of the California Fire Code so you can find it quickly and easily.